Williamstown, Massachusetts. On April 21, the Northeast Sustainable Energy Association (NESEA) organized a tour of the Williams College Kellogg House as part of NESEA’s Building Energy Pro Tour Program. The Kellogg House is a 1794 building that received a deep energy retrofit and a newly constructed expansion to serve mixed uses at the College. The project was built to the stringent standards of the Living Building Challenge. The Living Building Challenge is a green building certification program and sustainable design framework that visualizes a built environment where living buildings give more than they take, creating a positive impact on the human and natural systems that interact with them. DuBois & King electrical engineers provided power and lighting electrical design services for the renovation of the Kellogg House. 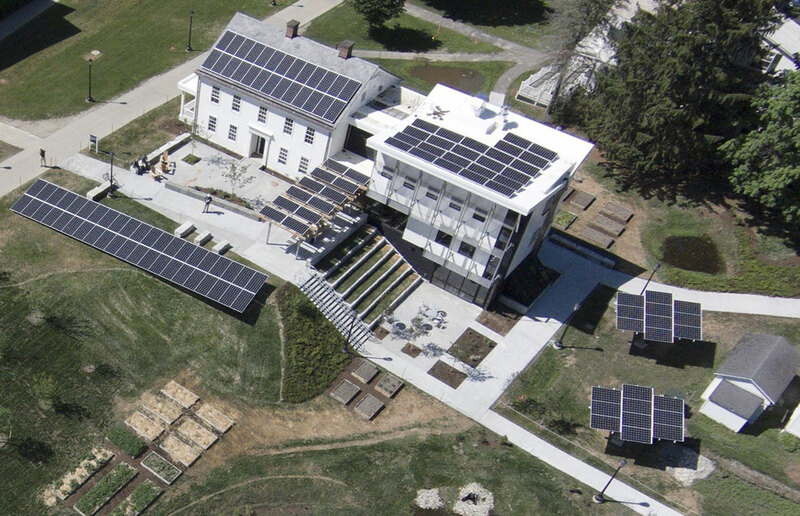 The goal was for the building to attain net zero energy consumption. Lighting energy consumption was designed to be less than .3 watts per square foot while still achieving high-level lighting performance. Monitoring of ongoing energy consumption includes indoor-outdoor lighting, heating, cooling, ventilation, pumps for water supply and purification, plug loads, kitchen appliances, domestic hot water, wastewater treatment, and photovoltaic production. The facility is operating the first licensed rainwater collection and treatment system in Massachusetts, and one of only a few non-chlorinated public water providers in the United States. Gray water is treated on site in a constructed wetland. 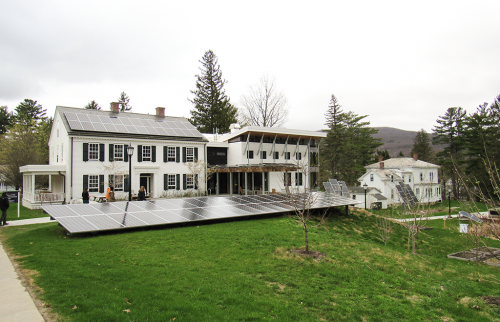 The building is designed to produce 100% of its energy through photovoltaic arrays.